After some time spent hanging out inside our soon to be living space, we decided there was no way wanted/needed to have seating for six (or sleeping room for 5 for that matter). 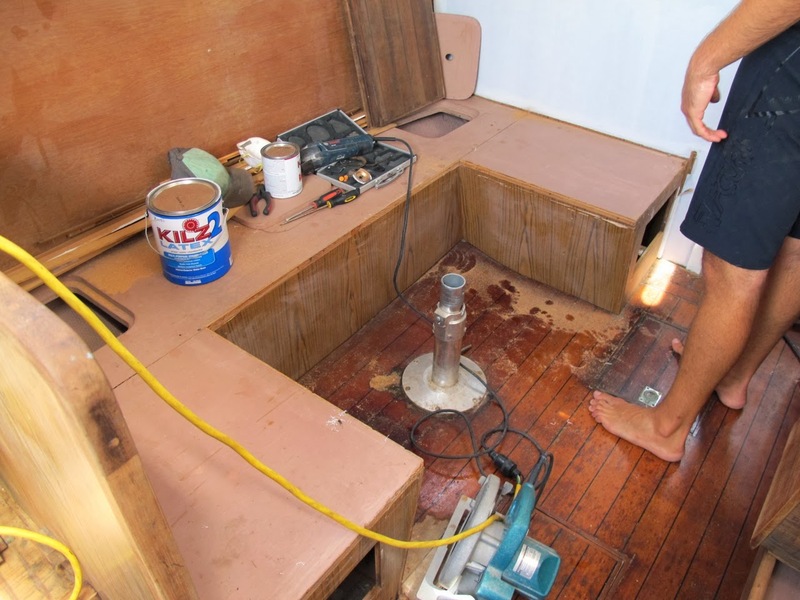 A few beers and several grand designs later, we broke out the circular saw and decided to remove the settee altogether. And now there's no turning back. 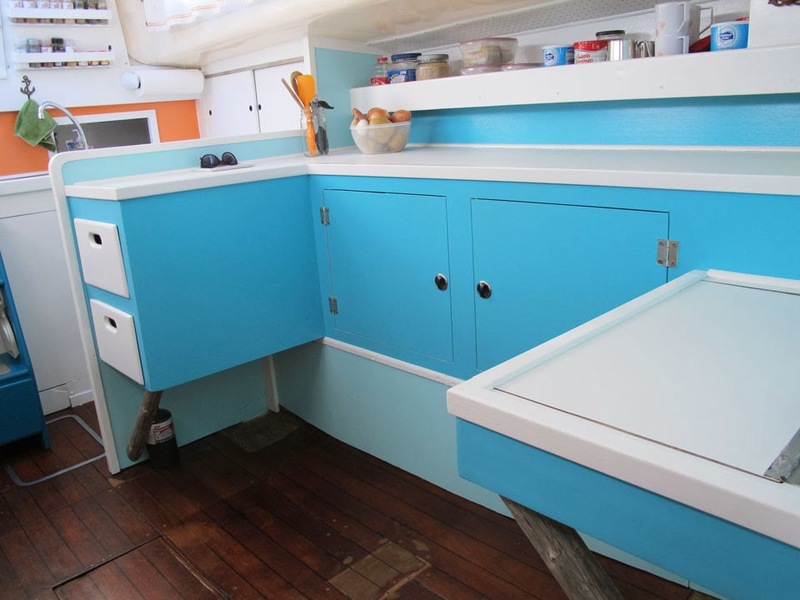 Our idea was to create extra storage (for Hillary's clothes) and more usable counter space. Don't mind the huge the hole in the floor. We'll get to that later. 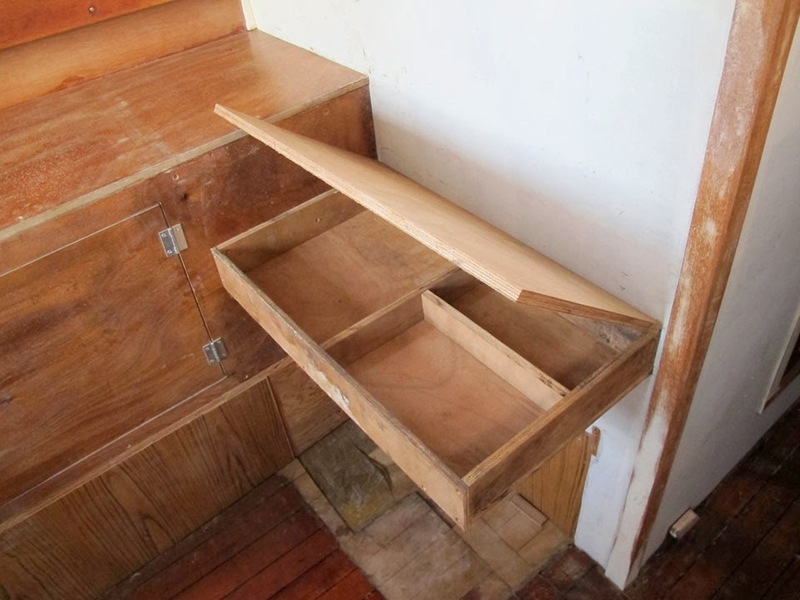 Matt re-purposed the old drawers that were on either side of the settee, and made a nice place for cutlery and a bunch of other junk. 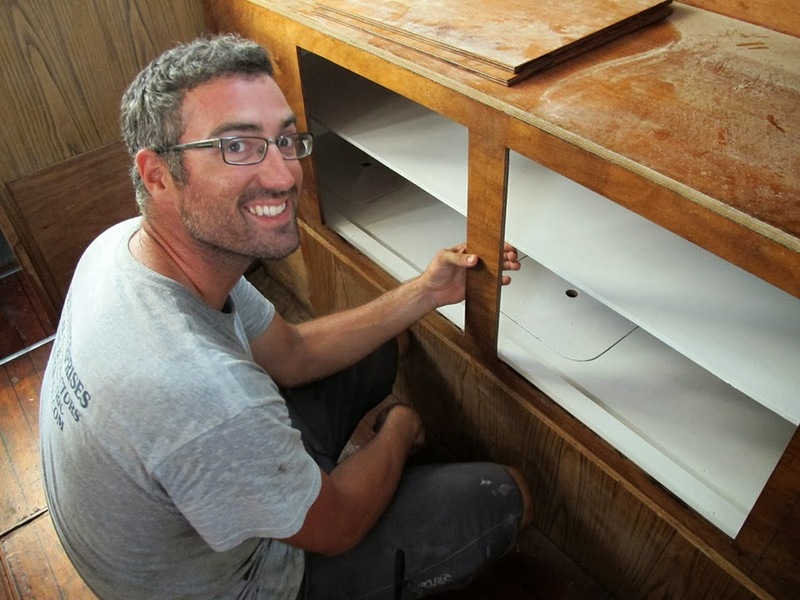 He also built a nice desk with handy storage inside! What type of paint did you use on the interior? 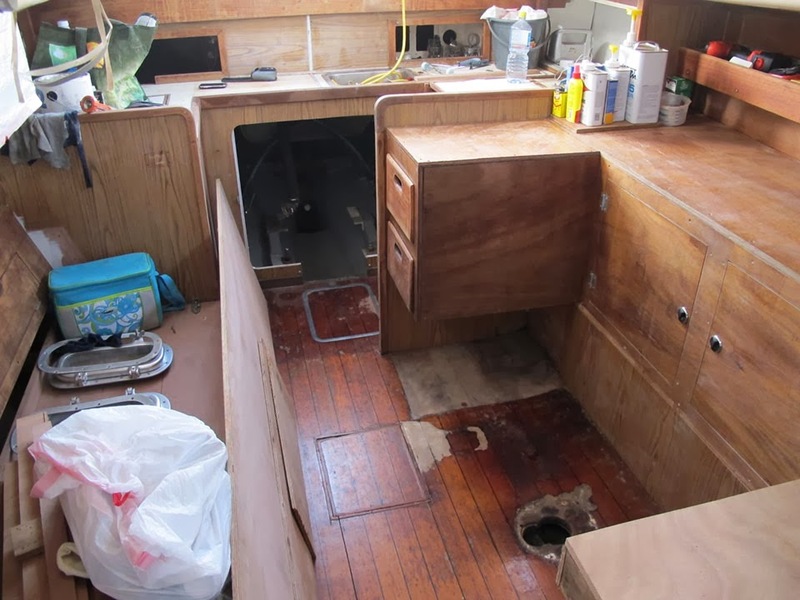 I'm worried that regular home interior paint won't hold up inside the cabin. 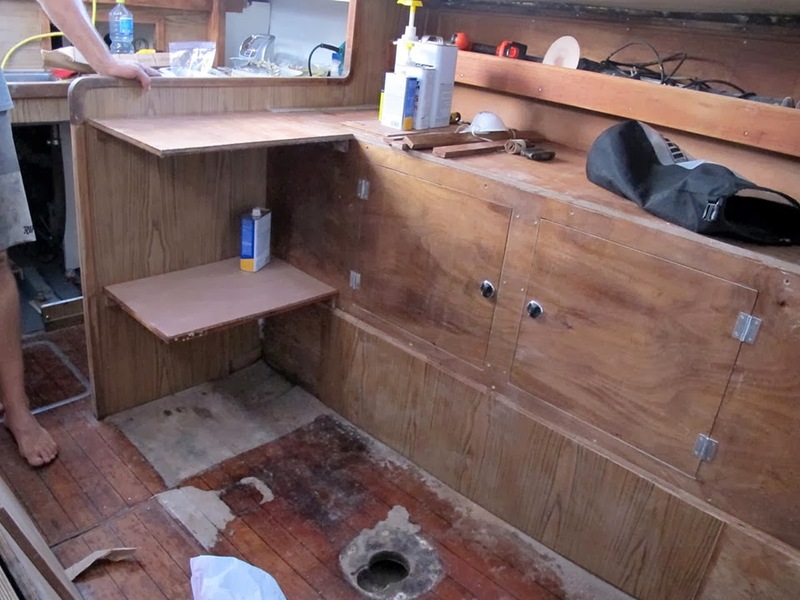 not sure if you're still following this blog but is that a solid surface countertop? and thanks so much for this!! 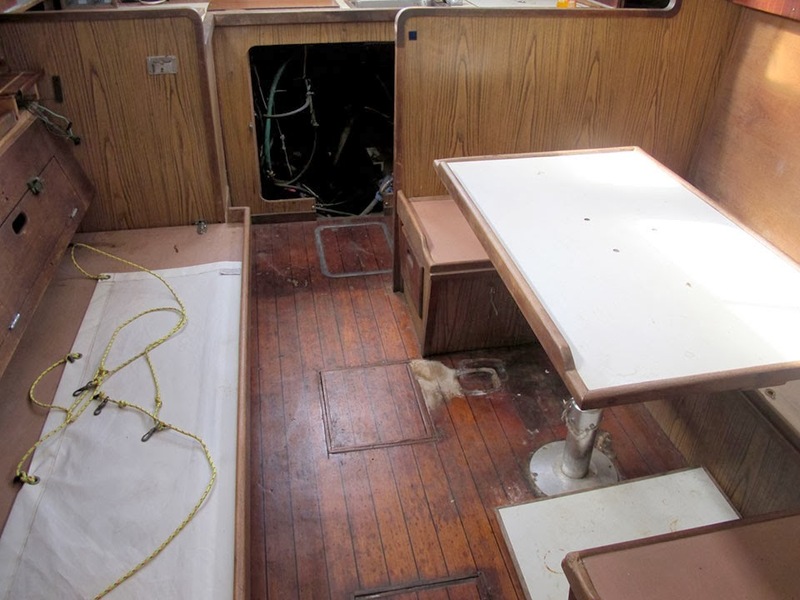 i just bought a 77 catalina 27 and your tips will help tremendously for the reno. 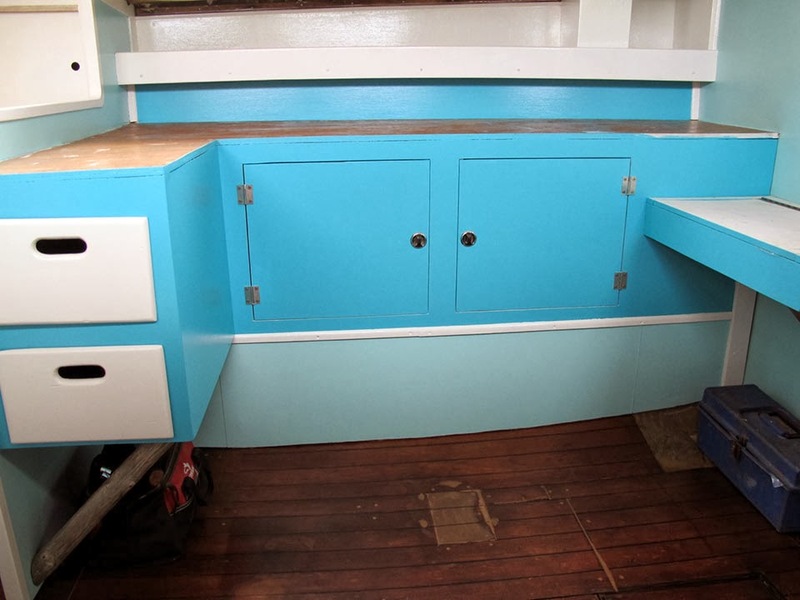 i have always hated the dark wood look of boat interiors, and your pics are a wonderful affirmation for bright colors and painting (GASP) teak trim. oops. now i see what you did. 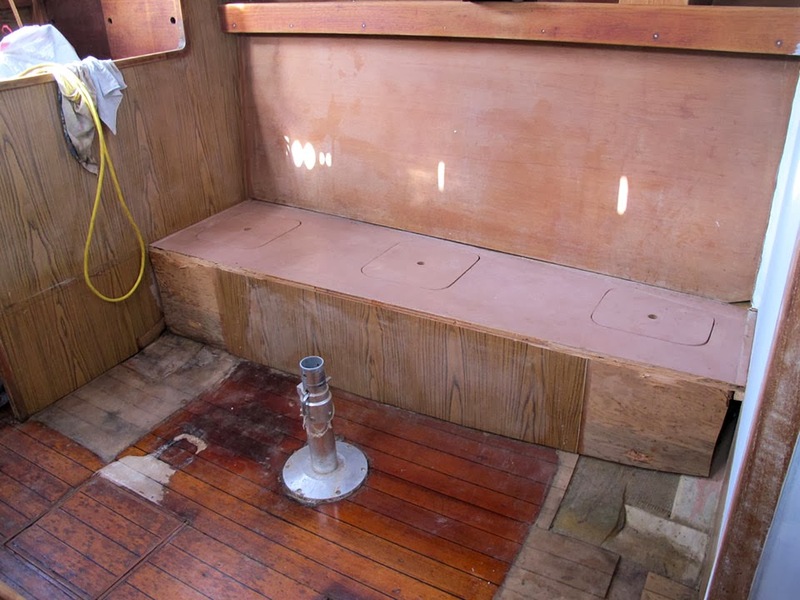 plywood and trimmed the edges with wood. great paint finish! Yep! Plywood topped with a sheet of formica. 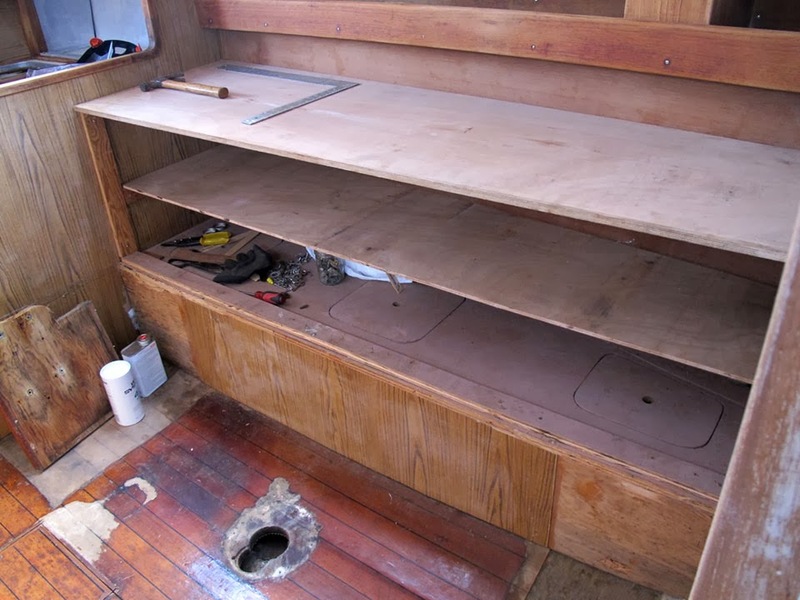 Wood trim to match the rest of the boat and give a little edge so things don't roll off. It's the cheap option, but worked great for us!